If the location isn’t well known, find an easier-to-find meeting spot. Make a list of organizations or government bodies you need to contact in order to get permission, permits, or licenses for your project, if necessary. Outline any events that may occur after the cleanup. If possible, ask for donated supplies and funds. If you can find the tools you need in almost any homeowner’s garage, you can also ask volunteers to bring what they already own. You will probably have to spend some money in order to get the project started, but you can limit how much you spend out-of-pocket by estimating costs and asking local businesses to donate the funds or the items themselves in exchange for promotion at the event. 6- Assign responsibility for cleanup. Don’t forget to reward all the people who will come out and make this project such a success! Have some shirts commemorating the project made, or have a pizza party with a raffle giveaway afterward. Volunteers will appreciate you acknowledging their efforts the same way you will appreciate their help with beautifying the neighborhood for everyone! Most importantly, it may encourage them to come back as a volunteer the next time you choose to organize another project. 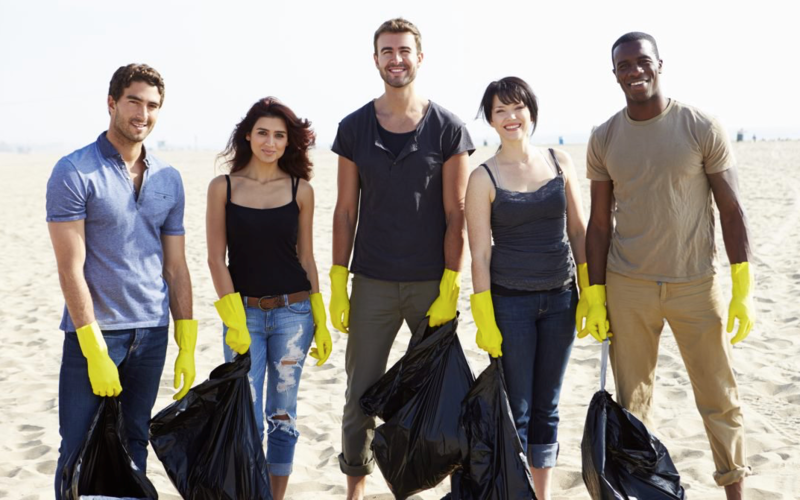 While beautifying and cleaning up your neighborhood is a great initiative to take, the benefits of a cleanup extend far beyond the appearance of your community: it’ll allow you to bond with your neighbors, make new friends, and get to know your home! Sophie Kaemmerle is Communications Manager for NeighborWho. NeighborWho’s mission is simply to help you better understand your neighborhood. Learn about your neighbors, the houses on your street, current, and past owners access property reports and lookup public records. Public records are aggregated to compile in-depth reports on properties & people—NeighborWho provides a wealth of information at your fingertips.